AN earthquake has struck about 40km off the northeast coast of Bali but there are no reports of major damage yet. A magnitude 6.0 earthquake struck, causing brief panic among residents though there was no potential for a tsunami and no immediate reports of major damage. 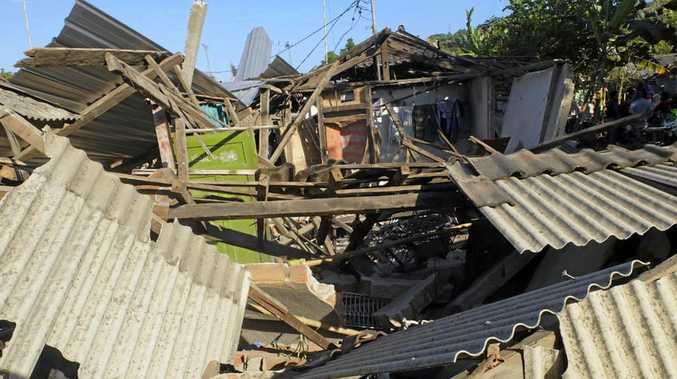 The quake located in the Bali Sea shook buildings for several seconds on Bali this morning and some residents briefly left their homes in the island's capital Denpasar. Indonesia suffered a powerful 7.5 magnitude earthquake and tsunami last month on the island of Sulawesi killing more than 2000 people. Meanwhile a magnitude 7.3 quake has struck east of Papua New Guinea. Early reports suggest tsunami waves are possible within 300 kms of the epicentre. The Pacific Tsunami Warning Centre said waves less than 0.3 metres high could be expected on coastlines in Papua New Guinea and neighbouring Solomon Islands. Australia's Tsunami Warning Centre said its coastlines were not at risk. Pacific Tsunami Warning Centre oceanographer David Walsh says any tsunami from the earthquake would only affect areas immediately around the epicentre.